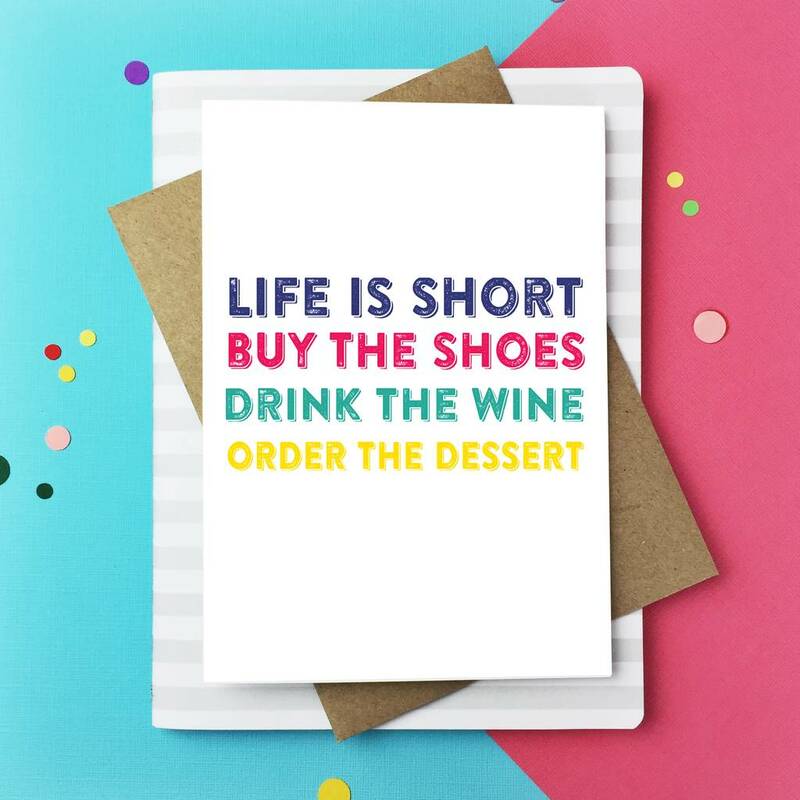 Celebrate the colour of life with this splendid card! 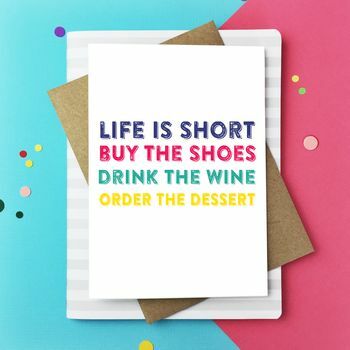 Buy those shoes, order that drink and eat that desert! A brilliant birthday card for sharing in the birthday love with the awesome people! This brilliant card is left blank inside for your own message to share your epic awesomeness with your recipient! A fab card that will embue the receiver with postive bursts of love and creativity! So share the awesomeness and get your funky pants cracking! This fantastic card is digitally printed right here in the UK onto 400gsm paper and comes with a kraft brown envelope.